Your own Spaghetti Seasoning mix made from scratch! Add this amazing spaghetti spice mix to perfect and enhance the flavor of your pasta dinner meal. A Seasoning blend just for spaghetti can be such a great time saver when you prepare a delicious sauce. It saves you time and effort, which is needed if you are a busy bee during the day. 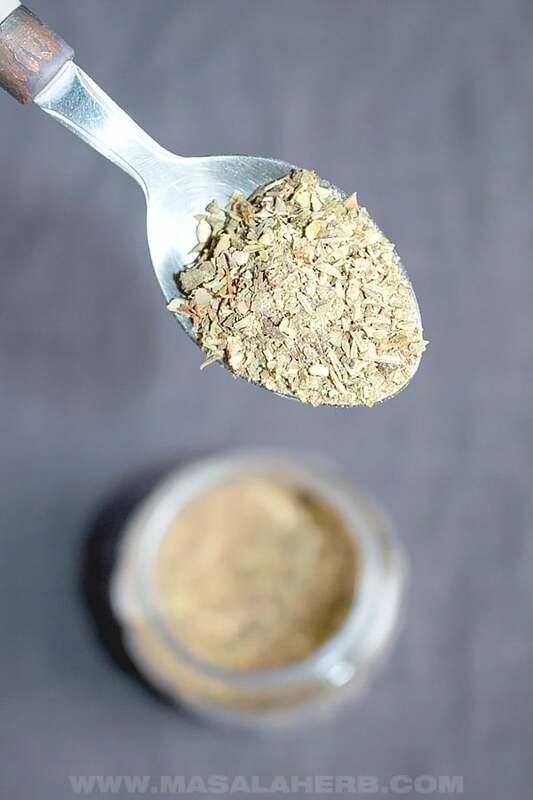 But you will soon realize too that a slow meal can need a dash of this Italian seasoning recipe. It just makes your spaghetti sauce irresistible and so delicious! My seasoning mix includes the following 6 dried spices and herbs. For the garlic powder I use roasted garlic powder for extra flavor. 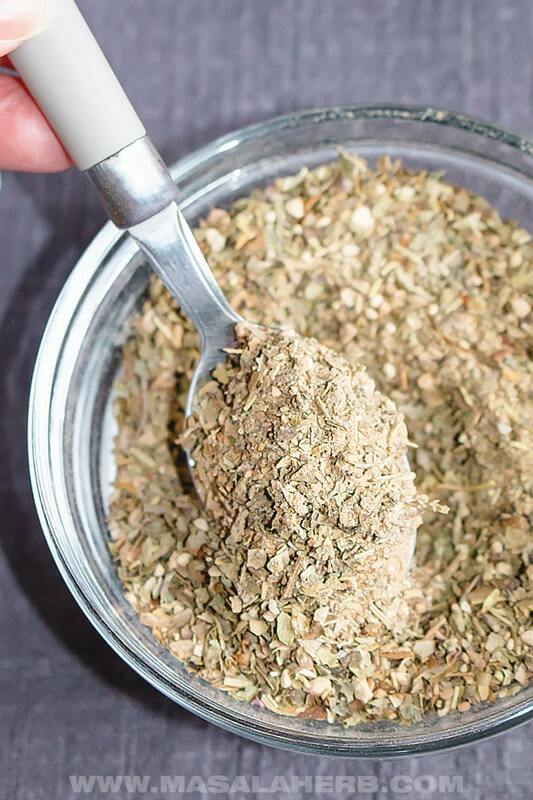 You can switch the oregano with marjoram if you prefer. I dry my own rosemary so I make sure that the rosemary needles are smashed a bit to make it easier to prepare the spaghetti sauce seasoning. For that I tend to dry roast the rosemary first which releases flavor and makes it easier to turn the needles into smaller pieces. Use whole black pepper ground into powder for the best spaghetti seasoning. 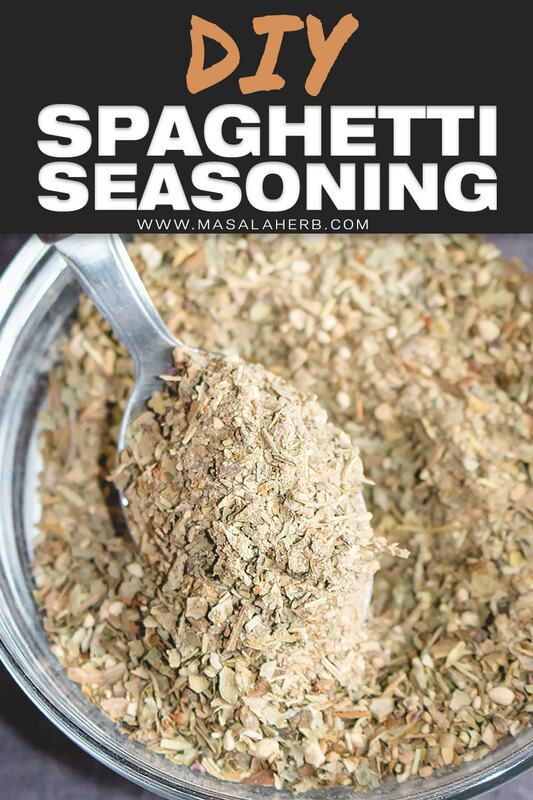 You can get creative with this Italian seasoning by using it to season your pasta sauce, the ground beef in your bolognese, meatballs in your pasta or any other meat or seafood that you want to add to your spaghetti sauce. This is a good pastameat spice mix and I dare to say the best seasoning for spaghetti bolognese. Cook your spaghetti according to package instructions. Slice your onion, dice your tomatoes and fry the fresh ingredients soft with some olive oil in a pan. Add Tomato Paste some broth and blend the sauce to a smooth consistency. Mix in your ground meat and the spaghetti seasoning to your sauce. Once cooked add the cooked spaghetti and serve hot. A good pasta seasoning is hard to come by. That’s why you should make your own DIY seasoning for pasta noodles! Just mix all the ingredients and store them in a transparent spice jar. Use the seasoning in all kinds of meals, see suggestions in the post above. Mix all the ingredients together in store in an airtight container to use another day. Simply add some of the spaghetti seasoning into your pasta sauce during the cooking process to add amazing Italian flavors! Substitute marjoram with oregano if you prefer it that way. You can toast the rosemary needles for a few seconds in a dry pan to release the flavors. That way the rosemary will dry and you can smash it better into smaller pieces. Store in an airtight container to preserve for a longer period of time. Use a transparent container so that you remember to use it. Mix the seasoning before you use it because some spices are heavier than others and tend to fall to the bottom of the spice jar. I don’t add salt to the seasoning mix. You can always add salt to the dish during the cooking process. 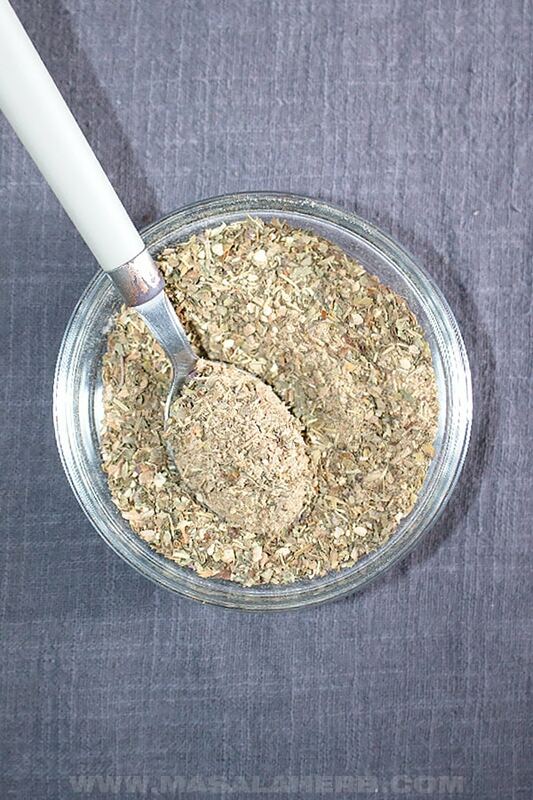 Dear Reader, how did you use this amazing DIY pasta seasoning? 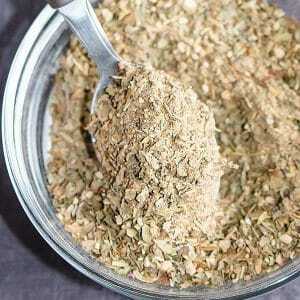 Hi, this may be interesting you: Homemade Spaghetti Seasoning Mix!